*The post contains affiliate links! These are all the basics for losing weight during menopause! Let’s get straight to the good stuff! 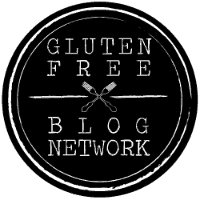 I know the gluten-free diet seems like the latest fad, but trust me – it is much more than that! Even if you do not have sensitivity towards this allergen, you still get affected by it! And here is why! gluten causes leaky gut, inflammation, and nutrient malabsorption, and as a result – our bodies crave more food to catch up on the lack! But beware! Not everything labeled “gluten-free” on the market means healthy! If you want to make this diet work, you need to do it right! There is no point in avoiding gluten if you are going to increase the sugar or trans-fats consumption (which are very common in most fake healthy snacks on the market)! That is why I have prepared for you my healthy gluten-free diet cookbooks – no junk food, no white sugar, no trans-fats! Speaking of sugar, if the regular gluten-free diet does not give the desired results, it is time to take out the heavy artillery – the Ketogenic diet, also known as Keto or Low Carb/High Fat diet. I won’t be going into too much detail how this regimen was developed because the important part is the results it provides. This is an excellent (if not the best) diet plan for losing weight during menopause and for people who have a very difficult time losing the extra pounds due to insulin resistance or having an endomorphic body type (gaining weight more easily than losing it). If this is the case for you, read on! Here is a very quick version of the diet – ditch all kinds of carbohydrates or lower their consumption as much as possible. This means cutting out sugar, sweet fruits, honey, potatoes, flour, rice, grains, etc. Low carb fruits like lemons, grapefruits, strawberries, raspberries, and blueberries are allowed. Conversely, increase the consumption of healthy fats such as extra virgin olive oil, coconut butter, avocados, organic cheese, and meat, etc. It is important to remember that trans-fats and processed oils are an absolute no-no, and a truckload of leafy greens is a must! Homeopathy can be a powerful tool in speeding our metabolism and maintaining a healthy weight! Here is a recipe, developed by Angelika Wolffskeel with her favorite Schuessler salts! – Schuessler salt No. 10 (Natrium sulfuricum) – helps with cleansing the extracellular matrix (ECM) – 5 tablets in the evening dissolved in some water. Apply this recipe for 6 weeks, then you can take a break for several months and repeat again if needed. This combination of homeopathic remedies helps our bodies boost the metabolism and detox itself more easily and effortlessly! Thankfully, homeopathy is not the only source of natural remedies for boosting the metabolism and losing weight during menopause! There are 6 types of tea coming from this plant – white, green, yellow, black, oolong, and pu-erh, but the processing (fermentation) of the leaves is different. No matter which one you choose, they all have similar beneficial metabolism-boosting effects for us. Camellia tea is also packed with antioxidants – one cup of green tea has more antioxidants than 10 cups of fresh apple juice. It has antibacterial, antiviral properties, and balances the blood sugar level (which is essential for any weight-loss diet!). This popular tea is one of the best refreshing coffee substitutes. It has tons of benefits and healing compounds. This plant does not contain caffeine, and oxalic acid, which makes it perfect for people prone to kidney stones formation. This magical herb is valuable for people with diabetes as well. The antioxidant aspalathin regulates the blood sugar level and lowers the insulin resistance. You can also count on Rooibos tea for counteracting headaches, insomnia, asthma, eczemas, weak bones, hypertension, allergies, and slowing down the aging process. This is one of the most common healthier alternatives to coffee, which does not drain the Calcium out of your bones. One of its main benefits is the high amount of chlorophyll, which we ingest with the tea. Unlike other types of herbal decoctions, Matcha is taken with its leaves (ground as a fine powder). And we already know the slimming and detoxing power of the green leaves. But Matcha is special because it is grown in shady places, which enhances the chlorophyll amounts in the leaves of the plant. Matcha tea has been scientifically proven to boost the metabolism and promote fat burning, which makes it perfect for losing weight during menopause. This hot beverage can improve your memory, boost your mood, strengthen the immune system, and give you more energy throughout the day. This tea’s flavor reminds us of lemon, and it’s as beneficial as the citrus fruit. It has proven its antibacterial, antioxidant, analgesic, and spasmolytic properties. Another good side of this herb is its gentle female hormone balancing effect. That’s why it is known as the “feminine herb”. Regular consumption of Melissa tea can detox the body, take out all excess water, stimulate the metabolism, decrease the cellulite under the skin, and enhance weight loss. There are many health issues, which can be soothed with this plant. Such as Alzheimer’s, migraine, insomnia, anxiety, stomach pain and cramps, colitis, high temperature, heart problems, menstrual disorders, menopausal discomforts, issues with the thyroid gland, skin inflammations, gout, catarrh, herpes, nausea, toothaches, arthritis, and rheumatism. People diagnosed with epilepsy or brain damages should consult with a doctor before taking Melissa on a daily basis. This herbal tea is also not recommended for pregnant women and people with severe intestinal and stomach infections, severe coughs, and liver diseases. We cannot be talking about weight-loss without mentioning exercising. It is still the best way to speed the metabolism and lose the extra pounds. But things during menopause are quite different from our twenties or thirties. The bodies are not as flexible and agile and this should be taken into account when choosing the type of workouts. So, just like we talked about in the previous article, the best exercises for menopausal or perimenopausal women should not be too strenuous and exhaustive for the higher risks of injuries. Yoga, Pilates, dancing, or simply taking long walks outside are excellent options for losing weight during menopause, maintaining the healthy weight, protecting the bone density, lubricating the joints, and keeping the body in good shape! The key is consistency! Stay tuned for more health and wellness articles! This entry was posted in Wellbeing of the Body and tagged diet, gluten intolerance, gluten sensitivity, gluten-free, healthy diet, healthy recipes, menopause, perimenopause, weight loss. Bookmark the permalink.